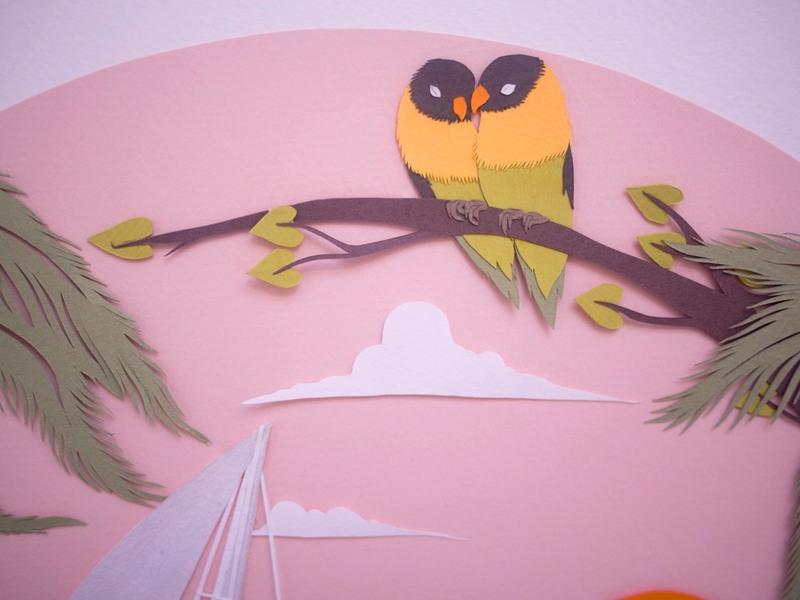 Bespoke paper art for two love birds! It was so much fun making this piece of artwork for two love birds who enjoy exploring the ocean. This thoughtful gift was commissioned by a loving friend. I was so touched to hear she adores my artwork and wanted to create a bespoke piece of art to say a special thank you to two close friends.